First time buy from this business, nice easy trouble free transaction. Its been used as back up for motorhome, not been fitted long enough to evaluate yet,but time will tell. Had it delivered to Spain, great service and found the website very user friendly. 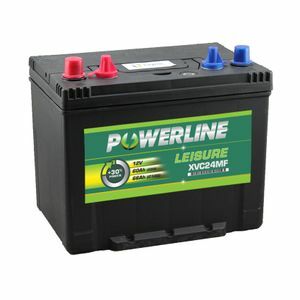 Excellent battery and price, being used on a boat. The twin terminals ideal for mounting the main leads and the accessories separately. Delivered ahead of schedule.Very well packed and at a great price!..Highly recommended company. Purchased on Saturday evening from Belgium. Received on Monday. Can't believe it!!! To help me in my choice, I would like to have the battery weight listed. Grande réactivité pour répondre aux questions avant l'achat. Envoy tres rapide, très satisfait, je recommande. excellent product, price and customer service. The service and delivery from Tanya was great. I ordered the same battery as was in the van. However the secondary terminals were a different size and no nuts supplied. In fact the 2 terminals had different size threads on the new battery (which does not sound correct. Does what it says on the box! Delighted with the battery which I use to run an electric fence and a small water pump. Superfast delivery, great battery, excellent unpacking instructions, all good.